Cord-cutting has been taken to a new extreme at Verizon -- and the company is suggesting striking workers are to blame. Verizon (VZ) said Wednesday it is investigating 57 instances of network sabotage and other criminal activity during the two weeks since 36,000 workers walked off the job. In a normal year, the company said such incidents are "rare," with just about six or so reported. But Verizon said the nefarious activity has "accelerated" since the strike began on April 13. 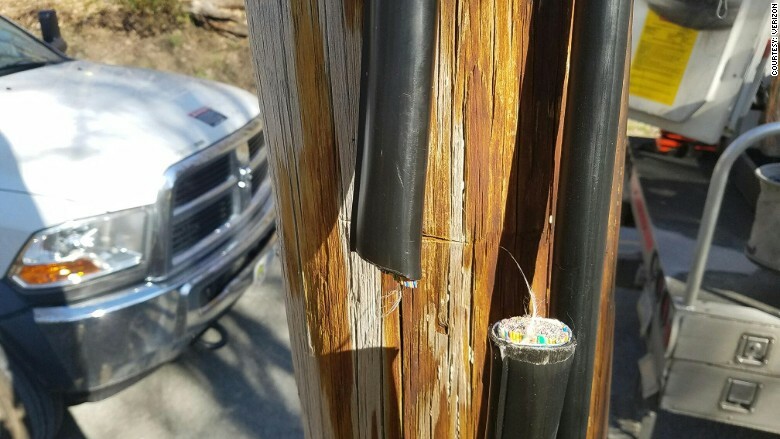 Verizon said the criminal incidents have taken place across five states and includes "intentionally damaging Verizon equipment," vandalizing terminal boxes and "severing" fiber-optic cables. Severed Verizon cable discovered in Uniontown, Pennsylvania. Verizon hasn't found the perpetrators but it says "these malicious actions take place as Verizon is experiencing a strike, now in its 15th day." The company said it's working with authorities to pursue criminal charges. "These are criminal activities, affecting people's safety and putting lives at risk," Michael Mason, Verizon's chief security officer, said in a statement. 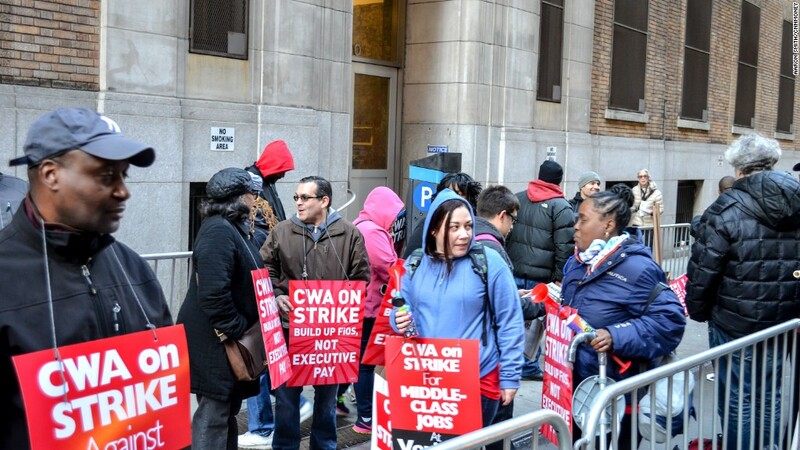 The Communications Workers of America, the Verizon union on strike, noted that regulators have criticized the company in the past for failing to keep up with maintenance issues and wear and tear. "Sadly, Verizon executives want to blame problems on the men and women who are building the company's massive profits, but the fact remains that it is Verizon executives who are shortchanging customers and workers alike," the union said in a statement. Verizon is currently offering rewards of up to $10,000 for information leading to the arrest and prosecution of those who intentionally damage the telecom giant's equipment. The company urged anyone who witnesses sabotage to call 911. The Verizon strike, the largest in the U.S. since the 2011 Verizon strike, involves mostly workers who service Verizon's landline phone business and FiOS broadband services. -- CNNMoney's Aaron Smith and David Goldman contributed to this report.